I left my phone in the living room last night, and awoke in panic when I saw my charging cord dangling on my nightstand. Being without my phone makes me feel naked. Alone. Rendered useless. Okay, maybe it’s not that bad, but I do have a bit of an iPhone addiction. It got me thinking… Could I do my job without my phone? Could my employees do theirs? 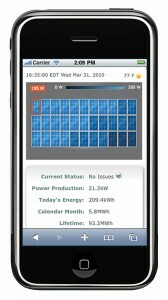 What would solar energy sales and contracting look like without our phones? … and probably 100 other things that I’m not thinking about right now. Our phones have become indispensable, and that is no different for the solar contractor. Hopefully I will remember to plug in my phone tonight. Fortunately, I do not rely on my phone as an alarm clock. Signing off – battery at 7%.